Paramahansa Yogananda (Pôromôhongsho Joganondo, Hindi: परमहंस योगानन्‍द; (January 5, 1893–March 7, 1952), was an Indian yogi and guru. He was instrumental in bringing the teachings of meditation and Kriya Yoga to the West. His book, Autobiography of a Yogi, is a perennial bestseller that continues to introduce new generations to the timeless wisdom of India. He brought a more spiritual, as opposed to dogmatic, understanding of Jesus teachings to Western Christianity. His understanding of the Bible was unique for someone raised in the Hindu tradition, and he was a major catalyst in the move towards Eastern spirituality that young Christians began making in the 1920s. Yogananda emphasized the underlying unity of the world's great religions, and taught universally applicable methods for attaining direct personal experience of God. Yogananda was born Mukunda Lal Ghosh in Gorakhpur, Uttar Pradesh, India, into a devout Bengali family. According to his younger brother, Sananda, from his earliest years young Mukunda's awareness and experience of the spiritual was far beyond the ordinary. In his youth, he sought out many of India's Hindu sages and saints, hoping to find an illuminated teacher to guide him in his spiritual quest. 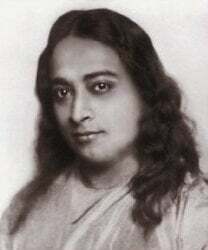 In Yogananda's Autobiography of a Yogi, he relates numerous stories of saints, scientists, and miracle workers that he visited as a youth, including the renowned scientist Jagdish Chandra Bose, his personal tutor Mahendranath Gupta (biographer of Ramakrishna), the Nobel Prize winning Bengali poet Rabindranath Tagore, the "Tiger Swami," the "Perfume Saint," the "Saint with Two Bodies," the "Levitating Saint," and others. After passing his Intermediate Examination in Arts from the Scottish Church College, Calcutta, he did his graduate work in religious studies at the Serampore College, a constituent college of the University of Calcutta. This allowed him to spend time at Sri Yukteswar's ashram in Serampore. In 1915, he took formal vows into the monastic Swami Order and became "Swami Yogananda Giri" (signifying bliss, ananda, through divine union, yoga). In 1917, Yogananda began his life's mission with the founding and running of a school for boys in a remote hamlet of Bengal, called Dihika, by the side of river Damodar. The school combined modern educational techniques with yoga training and spiritual ideals. A year later, the school relocated to Ranchi. This school would later become the Yogoda Satsanga Society of India, the Indian branch of Yogananda's American organization. In 1920, he traveled to the United States as India's delegate to the International Congress of Religious Liberals held in Boston. His address to the congress, on The Science of Religion, was well received. As a result he spent the next several years lecturing and teaching on the East coast and in 1924, he embarked on a cross-continental speaking tour. Thousands came to his lectures. Before embarking on his travels in the U.S. he founded the Self-Realization Fellowship (SRF) to disseminate his teachings on India's ancient practices and philosophy of Yoga and its tradition of meditation. In 1925, he established an international headquarters for the SRF in Los Angeles. At every location where an SRF organization was founded the main building was dedicated as the Self-Realization Fellowship Church for All Religions. Yogananda was the first Hindu teacher of yoga to make his permanent home in America, living there from 1920-1952. Among those who became his students were many prominent figures in science, business, and the arts, including horticulturist Luther Burbank, operatic soprano Amelita Galli-Curci, George Eastman (inventor of the Kodak camera), poet Edwin Markham, and symphony conductor Leopold Stokowski. In 1927, he was officially received at the White House by President Calvin Coolidge, who had become interested as a result of newspaper accounts of his activities. In 1935, he returned to India to visit Sri Yukteswar and to help establish his Yogoda Satsanga work in India. During this visit, as told in his autobiography, he met with Mahatma Gandhi, the Bengali saint Sri Anandamoyi Ma, Nobel winning physicist Chandrasekhara Venkata Raman, and several disciples of Sri Yukteswar's Guru Lahiri Mahasaya. While in India, Sri Yukteswar conferred upon him the title Paramhansa, literally supreme swan (a symbol of spiritual discrimination), that signifies the attainment of a supreme state of unbroken communion with God. In 1936, while Yogananda was visiting Calcutta, Sri Yukteswar, died in the town of Puri. In September 1936, he returned to London, England, to participate in The British National Council of the World Fellowship of Faiths held at Whitefield's Congregational Church. He addressed the audience on the subject of How Faith in Fellowship may Save Civilization. His lectures attracted overflow crowds. In October he returned to America where he continued to lecture, write, and establish his Church for All Religions throughout the country. Paramahansa Yogananda during a yoga class in Washington, D.C.
Yogananda taught his students the need for direct experience of truth, as opposed to blind belief. He said that, "The true basis of religion is not belief, but intuitive experience. Intuition is the soul’s power of knowing God. To know what religion is really all about, one must know God." Echoing traditional Hindu teachings, he taught that the entire universe is God's cosmic "movie show," and that individuals are merely actors in the "divine play" who change "roles" through reincarnation. Any harm that would befall an innocent person would therefore be the result of karma from a past life. Yogananda advised against taking this "divine delusion" any more seriously than a movie theater or television presentation because life is secondary to our own understanding. He taught that humankind's deep suffering is rooted in identifying too closely with one's current "role," rather than with the movie's "director," or God. This could also be a result of karma and therefore not identifying with the "director." In 1946, Yogananda published his life story, Autobiography of a Yogi which was instrumental in introducing meditation and yoga to the West. Sir, I have been thinking of the scientific men of the West, greater by far in intelligence than most people congregated here, living in distant Europe and America, professing different creeds, and ignorant of the real values of such melas as the present one. They are the men who could benefit greatly by meetings with India's masters. But, although high in intellectual attainments, many Westerners are wedded to rank materialism. Others, famous in science and philosophy, do not recognize the essential unity in religion. Their creeds serve as insurmountable barriers that threaten to separate them from us forever. Receiving his guru's blessing Sri Yukteswar then devoted himself to a comparison of the Bible and the scriptures of Sanatan Dharma. Using the words of Jesus, he showed that his teachings were in essence one with the revelations of the Vedas. His work was first published in the Sadhusambad journal and later were printed as a book by one of his disciples. Later Yogananda would take up the mission of Sri Yukteswar and travel to the United States. As a result a great deal of interest was generated in the Hindu insights into the unity of all religion. In 2004, a compilation of all of Yogananda's interpretations of the teachings of Jesus came out. Called The Second Coming of Christ: The Resurrection of the Christ Within You, the book takes the reader through all four Gospels and covers Christian topics such as Baptism, Holy Ghost, Forgiveness of sins, Heaven and Hell, Day of Judgment and Resurrection, as well as Hindu topics like meditation and reincarnation. World Brotherhood Colonies are an idea for cooperative spiritual living promoted by Yogananda. Beginning in 1932 and continuing to the end of his life in 1952, Yogananda urged young people in the U.S. to pool their resources, buy land, and build spiritual communities where they could live a life of "plain living and high thinking." In 1968, Swami Kriyananda, a disciple of Yogananda, started the first Ananda World Brotherhood Colony. Ananda Village, just outside Nevada City, California, has grown to 840 acres, with 250 residents. The community includes schools (kindergarten through high school), private and community owned businesses, gardens, a guest retreat and teaching center, a healing center, a museum and gift shop, publishing company, and more. There are now seven Ananda World Brotherhood Colonies, with approximately 1,000 resident members who practice Yogananda's Kriya Yoga meditation teachings. A unique feature of his World Brotherhood Colonies idea involves offering married couples and families a spiritual community life dedicated to meditation and service. Many traditional western monastic communities and Indian ashrams offer most of the features of Yogananda's Colonies—simple living, selfless service, cooperation, and daily meditation, however, both typically exclude children and couples as residents. On March 7, 1952, he died (attained mahasamadhi) while attending a dinner for the visiting Indian Ambassador at the Biltmore Hotel in Los Angeles. Skeptics point to Yogananda's death certificate, which indicates his body was embalmed. They claim the full text of Rowe's letter, as included in a memorial booklet put out by the SRF, indicates his surprise that the described effect was based merely on the lack of use of special creams in addition to the embalming fluid. Yogananda's work is continued by several of his disciples and organizations. Self-Realization Fellowship, which he founded, is still headquartered in Los Angeles and has meditation centers and temples across the world. The current head is Sri Daya Mata, a direct disciple of Yogananda. Ananda, near Nevada City, California, was founded by Swami Kriyananda, a direct disciple of Yogananda. Ananda is unique in that it expresses an aspect of Yogananda's vision for World Brotherhood Colonies, an idea for spiritual intentional communities that Yogananda often recommended to his students. Ananda Village is located in Nevada City, California, with six other Ananda World Brotherhood Colonies located worldwide. Ananda also has centers and meditation groups throughout the world. Song of the Morning Retreat Center, near Vanderbilt, Michigan, was founded by Yogacharya Oliver Black, another direct disciple of Yogananda. As of September 2004, work is continuing on building the Clear Light Community on the 800 acre (3 km²) retreat property. The retreat center offers classes on yoga and meditation and hosts programs featuring visiting spiritual teachers. The Center for Spiritual Awareness (CSA), located in Lakemont, Georgia, was founded by Roy Eugene Davis, a direct disciple of Yogananda. The CSA publishes books and audio cassettes, and offers meditation seminars at its retreat center headquarters on a voluntary donation basis. The ideal of love for God and service to humanity found full expression in the life of Paramahansa Yogananda…. Though the major part of his life was spent outside India, still he takes his place among our great saints. His work continues to grow and shine ever more brightly, drawing people everywhere on the path of the pilgrimage of the Spirit. George Harrison of the Beatles was significantly influenced by Yogananda, and Yogananda's image appears on the cover of the album Sgt. Pepper's Lonely Hearts Club Band. Mahavatar Babaji, Lahiri Mahasaya, and Swami Sri Yukteswar, other gurus in Yogananda's lineage, are also on the album cover. Yogananda. 1971. Autobiography of a Yogi. Los Angeles: Self-Realization Fellowship. ISBN 0876120753. Yogananda. 2004. The Second Coming of Christ:The Resurrection of the Christ Within You: a revelatory commentary on the original teachings of Jesus. Los Angeles, Calif: Self-Realization Fellowship. ISBN 0876125550. Yogananda. 1998. Scientific Healing Affirmations: theory and practice of concentration. Los Angeles: Self-Realization Fellowship. ISBN 0876121458. Yogananda. 1959. Whispers from Eternity. Los Angeles: Self-Realization Fellowship. Yogananda. 1953. The Science of Religion. Los Angeles: Self-Realization Pub. House. ISBN 0876120001. Yogananda. 2006. Karma and Reincarnation. Nevada City, Calif: Crystal Clarity Publishers. ISBN 9781565892163. Yogananda. 2007. Spiritual Relationships: weekly commentaries on the Bible and the Bhagavad Gita. Nevada City, Calif: Crystal Clarity Publishers. ISBN 9781565892248. Yogananda. 1986. The Divine Romance. Los Angeles, Calif., U.S.A.: Self-Realization Fellowship. ISBN 0876122403. Yogananda. 1980. Sayings of Paramhansa Yogananda. Los Angeles, Calif.: Self-Realization Fellowship. ISBN 0876121156. Yogananda. 1982. Man's Eternal Quest, and other talks. Los Angeles, Calif: Self-Realization Fellowship. ISBN 0876122330. Yogananda. 2006. How to be Happy All the Time. Nevada City, Calif: Crystal Clarity Publishers. ISBN 1565892151. Yogananda, and J. Donald Walters. 1994. The Rubaiyat of Omar Khayyam Explained. Nevada City, Calif: Crystal Clarity. ISBN 1565896750. Yogananda. 2002. Why God Permits Evil and How to Rise Above It. How to live series. Los Angeles, Calif: Self-Realization Fellowship. ISBN 0876124619. ↑ Yogananda-srf.org, Self Realization Fellowship. Retrieved August 29, 2007. ↑ 2.0 2.1 Sananda Lal Ghosh, Mejda: The Family and the Early Life of Paramahansa Yogananda (Self-Realization Fellowship Publishers, 1980, ISBN 978-0876122655). ↑ 3.0 3.1 3.2 3.3 3.4 3.5 3.6 3.7 3.8 Paramahansa Yogananda, Autobiography of a Yogi (2005, ISBN 978-1565892125). ↑ Yogananda-srf.org, A Pioneer of Yoga in the West. Retrieved August 29, 2007. ↑ 5.0 5.1 Swami Kriyananda, The Essence of Self-Realization—The Wisdom of Paramhansa Yogananda (Crystal Clarity Publishers, 2003, ISBN 978-0916124298). ↑ Project Gutenberg, Autobiography of a Yogi. Retrieved November 18, 2008. ↑ Yogananda, Autobiography of a Yogi (Los Angeles: Self-Realization Fellowship, ISBN 0876120753). ↑ Yogananda, The Second Coming of Christ: The Resurrection of the Christ Within You (Los Angeles, CA: Self-Realization Fellowship, 2004, ISBN 0876125550). ↑ Ananda Village, Homepage. Retrieved November 18, 2008. ↑ Adam.com, Incorruptability. Retrieved November 18, 2008. ↑ Yogananda-srf.org, Final Years. Retrieved August 30, 2007. ↑ Beatles Number 9, the Life of George Harrison. Retrieved August 29, 2007. ↑ John T. Marck, Who Are Those People and Images on the Cover of Sgt. Pepper? Retrieved August 29, 2007. Home Page, Center for Spiritual Awareness. "Yogoda Satsanga Society of India (YSS)". "Autobiography of a Yogi by Paramahansa Yogananda", Project Gutenburg. "Yogananda's Autobiography of a Yogi", Crystal Clarity. This page was last modified on 14 January 2019, at 21:52.